I am going to start another weekly segment! These posts will be about our local DFW news and happenings. Enjoy! Who would like to admit they text while driving? In Arlington a city wide ordinance was passed in September that bans texting while behind the wheel. Drivers can still talk on their cell phone which prompts me to wonder, if an officer sees someone dialing a number how will they know if they are texting or calling someone. Btw did you know in 2010 DFW ranked second in cities with the worst road rage, who would like to guess which city was first? There are so many wonderful small/medium sized business here in DFW, and here at Ayoka we are a fan of supporting and helping local business. Here is an example of a small Plano based business, using Facebook to promote her gift basket business and just in time for the holidays! 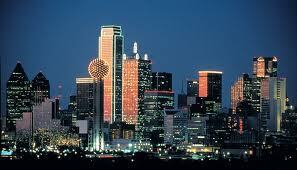 What other small businesses do you know of that utilize social media to promote their products or services here in DFW?